Delano Regional Medical Center has 156 beds. Kern Radiology's acquisition by Los Angeles-based RadNet Inc. will result in 173 layoffs in Bakersfield and Tehachapi, according to an official letter. An executive associated with the company said all or almost all of them will immediately be rehired. One by one over the past month, local health-care providers changed hands: a radiology company, a chain of blood-testing clinics, a hospital. They joined well-funded outside companies intent on piecing together health-care providers in Kern County and across the country. And while it's true businesses can lower costs through the economies of scale that often come with mergers and acquisitions, there can be a host of reasons why these deals make financial sense for buyers and sellers alike. Attractive purchase offers figure into some transactions, as do independents' need for resources to compete in the expensive world of medical technology and regulation. Another big motivator that's typically invisible to customers is a battle for market share, which can factor into important contract negotiations with insurance companies. "I don't think you're going to see any lowering of health-care costs because of these consolidations. 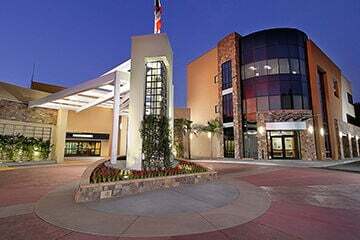 And I think you may see some (cost) increases," said health-care consultant Bob Severs, who retired in 2015 as CEO of Bakersfield managed-care provider GEMCare. Rather than lend bargaining power — the surrounding communities are largely enrolled in Medi-Cal, which does not negotiate prices with service providers — Adventist says its addition of Delano Regional will deliver more resources and expertise to the community. It added that no significant changes are expected to the employee population or management structure, "simply because DRMC already operates lean and very efficiently." The hospital is currently operated by the Central California Foundation for Health, which serves primarily the Delano community. "It's very difficult anymore for independent hospitals to make it," she said. "Often when a hospital joins (a larger health system), it's the only way they can stay open and operating, giving care in their community." Another recent example of a local independent joining forces with a larger outside organization is Kern Radiology Imaging System's pending asset-only acquisition by Los Angeles-based RadNet Inc., a publicly traded company with 341 locations and more than 7,000 employees in California and several states along the East Coast. The transaction is "really is all about efficiency, and it's hard to create the kind of efficiency necessary to be profitable without the large economies of scale" that RadNet brings to the table, said Dr. Bernard Maristany, president of Kern Radiology's affiliated, 20-radiologist medical group. The problem facing companies like Kern Radiology, he said, is that reimbursements from health-care "payers" — insurers, Medicare and Medi-Cal — have gone down "but the cost of running the business only goes up." He added RadNet will come away with a substantial share of the Bakersfield market, having already acquired local competitor Truxtun Radiology Medical Group in 2010. RadNet did not respond to repeated requests for comment. The California has reported all 173 of Kern Radiology's employees are expected to be laid off as a result of the acquisition. Maristany said Friday all or almost all of them will immediately be rehired. Details of the transaction were sketchy. WestPac's website refers to two sister companies: West Pacific Medical Laboratories, headquartered in Santa Fe Springs, and Central Coast Pathology Laboratory, based in San Luis Obispo. An executive at PAL declined to comment and WestPac did not return requests for comment. "Although all health-care firms involved in mergers and acquisitions claim that their main motivation is to create greater efficiency and lower costs, such efficiencies often don't materialize, and, if they do, savings are not passed on to consumers," he wrote. A spokesman for the California Association of Health Plans, a trade group representing health insurance companies, said by email that consolidation isn't always bad. It can create efficiencies and lead to better coordination of health-care services, spokeswoman Mary Ellen Grant wrote. Severs, GEMCare's former chief executive, said he suspects large companies' appetite for greater market share and cost efficiencies is behind much of the consolidation in health care. Expect to see more of the same in the future, he said.